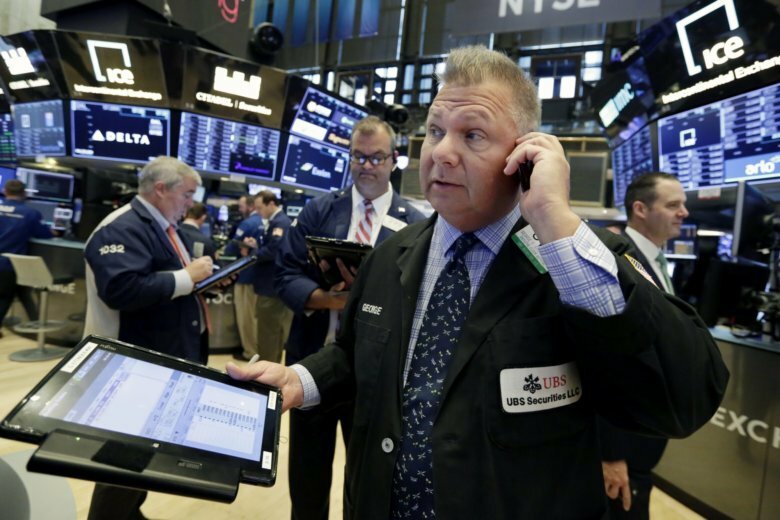 BEIJING (AP) — Asian stocks were mixed Tuesday after Wall Street’s gains as investors waited for a new U.S. tariff hike in a trade battle with China. KEEPING SCORE: The Shanghai Composite Index lost 0.3 percent to 2,661.33, while Tokyo’s Nikkei 225 added 1 percent to 22,595.52. Hong Kong’s Hang Seng retreated 0.3 percent to 26,538.58 and Sydney’s S&P-ASX 200 advanced 0.5 percent to 6,171.00. Seoul’s Kospi shed 0.3 percent to 2,281.90, while New Zealand. Benchmarks in Taiwan and Southeast Asia declined. WALL STREET: U.S. stocks broke a four-day losing streak as industrial companies and retailers rose. Technology companies recovered some of last week’s losses. Nike, Home Depot and Walmart all climbed. Microsoft and other technology companies rose, but Apple fell after saying more U.S. tariff hikes could push it to raise prices. The Standard & Poor’s 500 index gained 0.2 percent to 2,877.13. The Dow Jones Industrial Average lost 0.2 percent to 25,857.07. The Nasdaq composite rose 0.3 percent to 7,924.16. TRADE TENSIONS: The Trump administration is due to announce a decision shortly on whether to go ahead with 25 percent tariffs on $200 billion of Chinese imports in a dispute over Beijing’s technology policy. The two sides already have raised duties on $50 billion of each other’s goods. Trump said Friday that he was considering extending penalties to extending penalties to nearly all Chinese imports to the United States by raising duties on an additional $267 billion of goods. ENERGY: Benchmark U.S. crude gained 4 cents to $67.58 per barrel in electronic trading on the New York Mercantile Exchange. The contract lost 21 cents on Monday to close at $67.54. Brent crude, used to price international oils, advanced 11 cents to $77.48 in London. It rose 54 cents the previous session to $77.37. CURRENCY: The dollar gained to 111.36 yen from Monday’s 111.12 yen. The euro edged down to $1.1590 from $1.1595.